Hardwood floors are fashionable. They are also a challenge to noise control efforts in condo buildings. Sone condo corporations require that suites above the first floor be carpeted or have large area rugs that cover the majority of area. Exclusions may include kitchen and bathroom areas. To be effective, area rugs should be placed in spaces where people walk. When flooring is installed or upgraded, there may be a requirement that wood flooring include an underlayment that meets a minimum standard of sound transmission control. Such rules exist to help address noise issues which are one of the most common complaints in condo buildings. They are intended to reduce transmission of noise from one condo suite to another. 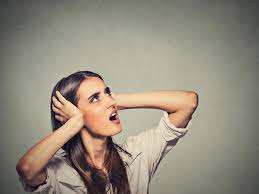 Noise can be transmitted through floors from people walking while wearing shoes, particularly women’s high heels and leather-soled shoes. Loud music, banging and jumping can also be transmitted through floors and walls. Carpeting and padding offer a softer surface that helps prevent sound transmission from one suite to another. In the absence of carpeting condo corporations have implemented rules, such as those mentioned above, to serve this same purpose.